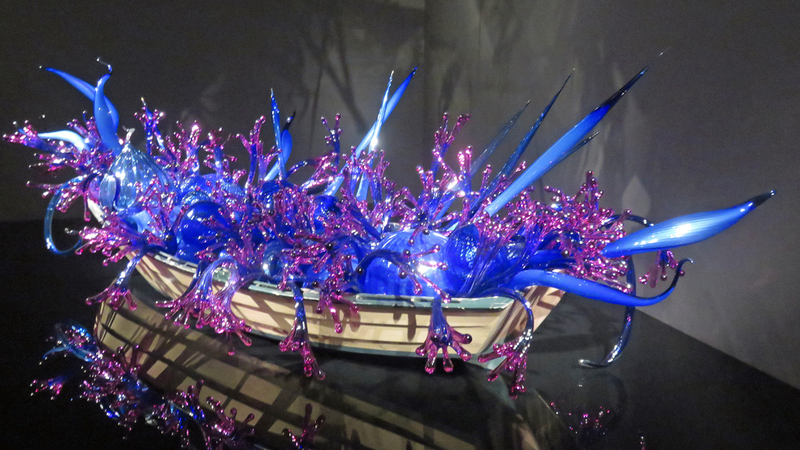 Inside The Dale Chihuly Exhibit at the Royal Museum of Ontario – Why Am I Not There? 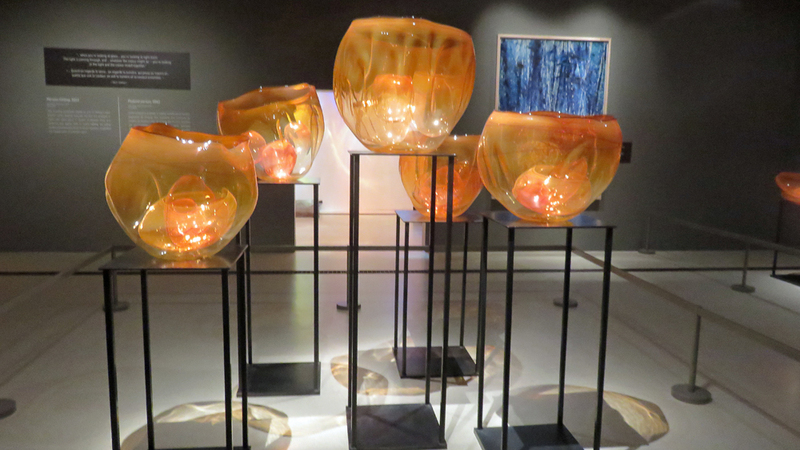 Art lovers in North America within an 6 to 7 hour drive of Toronto should set out for the Dale Chihuly exhibit at the Royal Museum of Ontario (aka ROM). 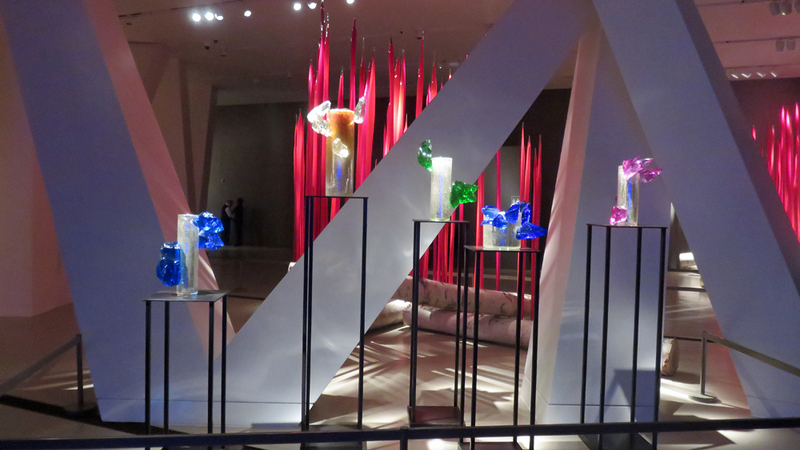 This is the first time such exhibit has appeared in Toronto. 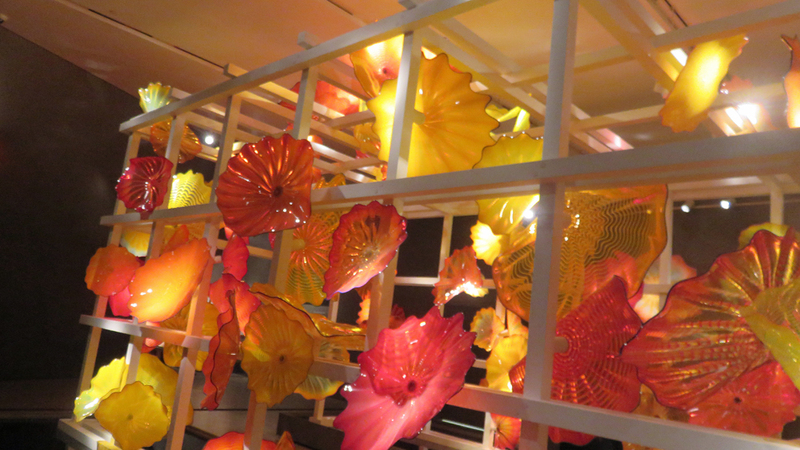 To give you the rundown on the 75-year old Chihuly, the Pacific Northwest artist creates colorful glass sculptures and installation of various sizes. 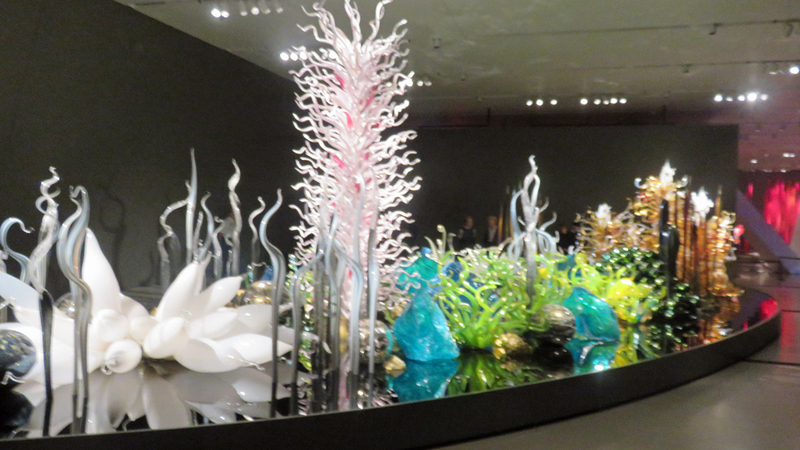 His creations aim to resemble glass forests and natural landscapes. 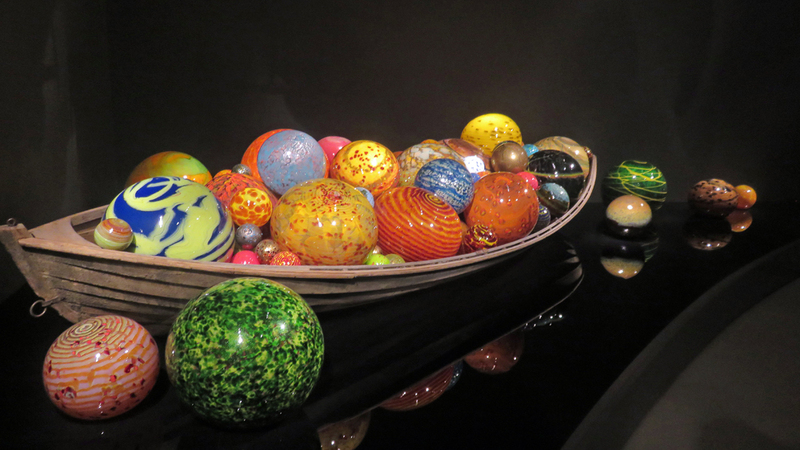 He takes his inspiration from the glass blowers from the Murano island in Venice, Italy. 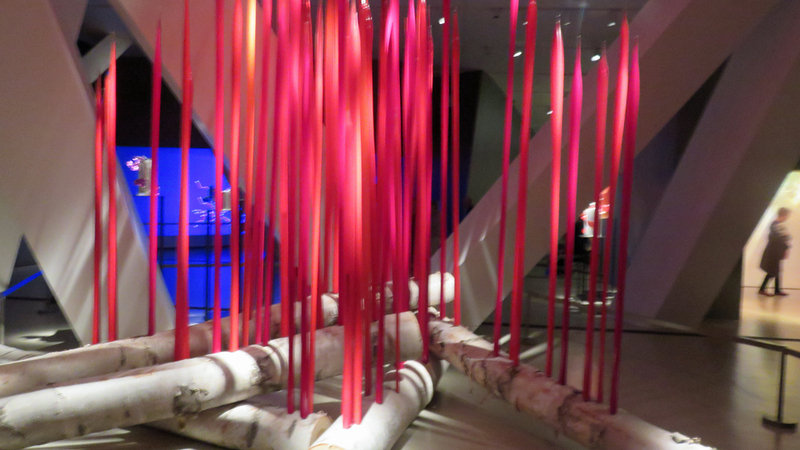 Walking through his Toronto exhibit, where you are encouraged to take photos and socialize them, you get a sense of the effort and patience that the artist must possess to create such elaborate ideas. I wonder if the final product is what he had in his head when he started or is he just winging it. It runs until January 8th, so you should plan accordingly. Just don’t break anything.